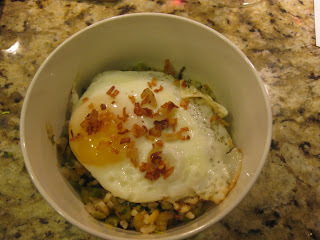 This easy meal was inspired by an article in NY Times, by Mark Bittman. 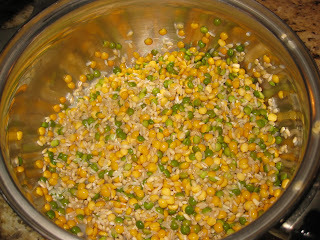 We made few changes to the original recipe, instead of white rice we used a soup mix, containing brown rice, bulgur, lentils and peas. 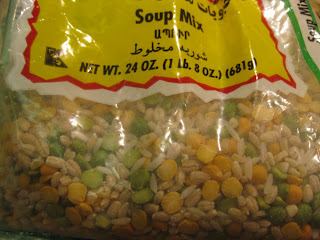 You can buy similar mixes at Trader Joe's or Middle Eastern markets, such as International Food Bazaar. We replaced the ginger ( no ginger in the house ) with onions and we baked the rice instead of frying it. As Marulka pointed out to me, the idea in this recipe is to use a day old steamed rice, to be able to get it crisp, when you fry it. To achieve this effect, we boiled the soup mix with 2 cups of water, and then dried it at 350F oven for 10 minutes. 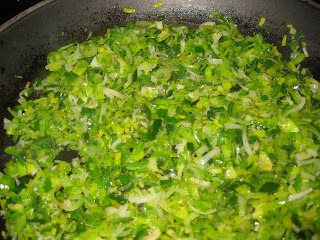 We sauteed the leeks. 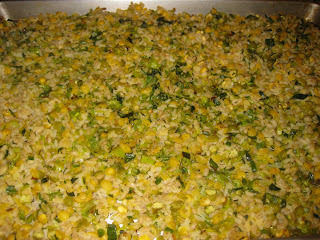 And then mixed the leeks with grains. We baked the mix for 10 more minutes in 400F oven. 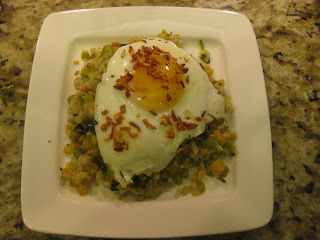 In a separate pan we browned the onions and the garlic, fried 4 sunny-side-up eggs, and assembled the dish, a nice mound of grains with the egg on top, sprinkled with the crispy garlic and onions. Could you pls post the picture in the round bowl? Very cool and delicious looking meal!